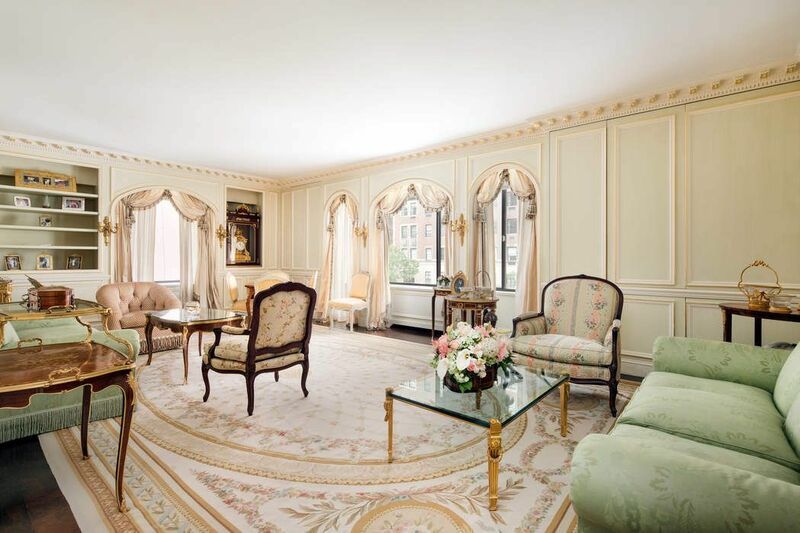 733 Park Avenue Fl 4, New York, NY 10021 | Sotheby's International Realty, Inc. 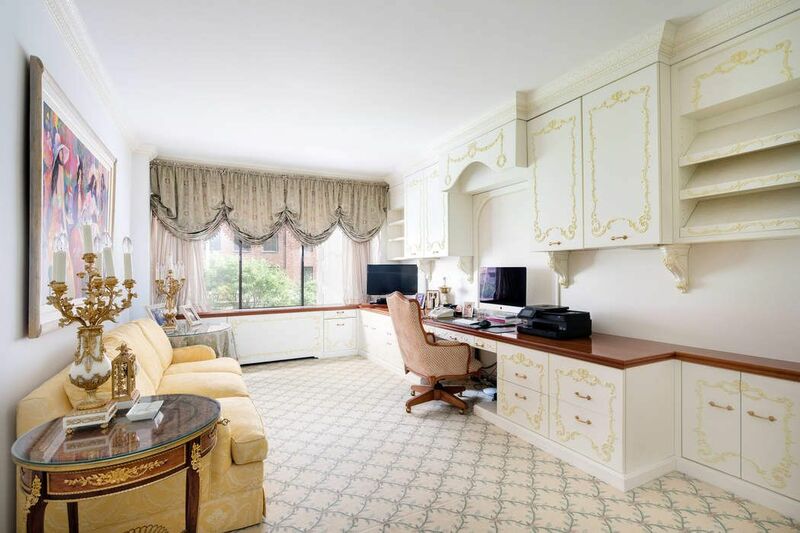 Exquisite full-floor Park Avenue-facing apartment in Lenox Hill with triple exposures, commanding views & a grand layout! This expansive former 4-bedroom home was transformed into a regal residence with 2 bedrooms, a staff room & 4.5 baths. 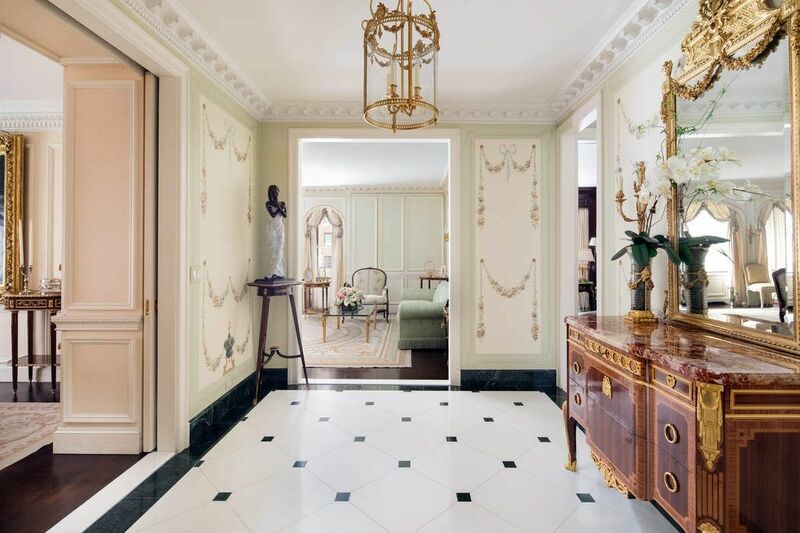 Every detail is exquisite, from the True Gold Leaf-adorned moldings to the hand-painted flowers on walls and luxurious fittings & fixtures by P.E. Guerin. 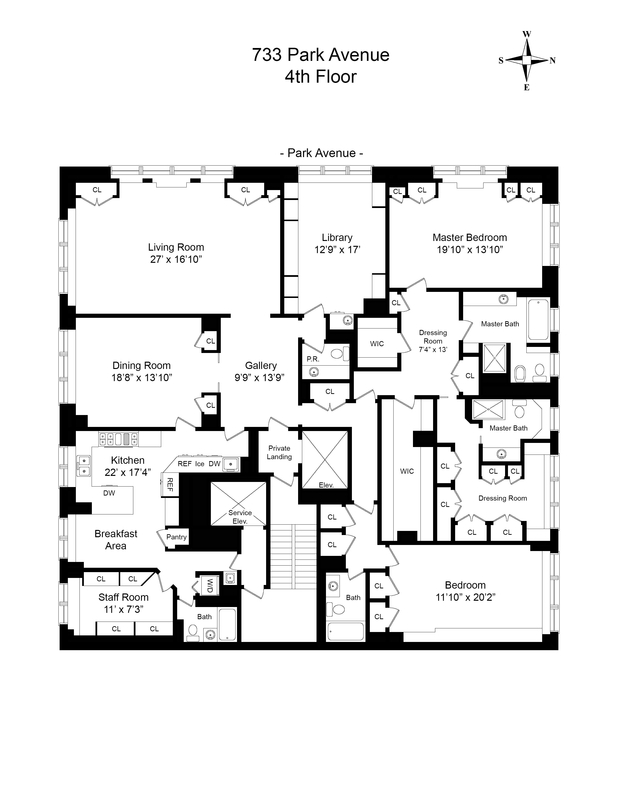 High ceilings, custom built-ins & extensive millwork enhance the elegance. 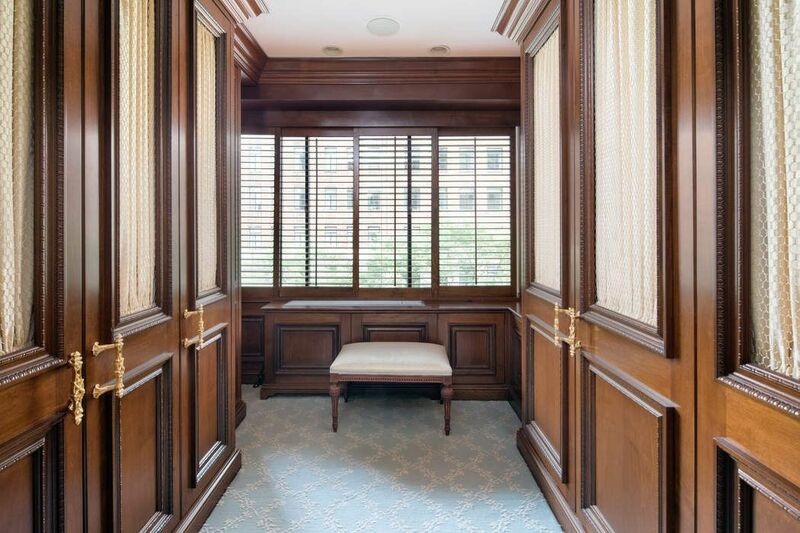 A private elevator vestibule opens into a gracious central gallery accessing the living & bedroom wings. Entertain with a backdrop of fabulous Park Ave views enjoyed from the generous corner living room & gorgeous wood-clad library. 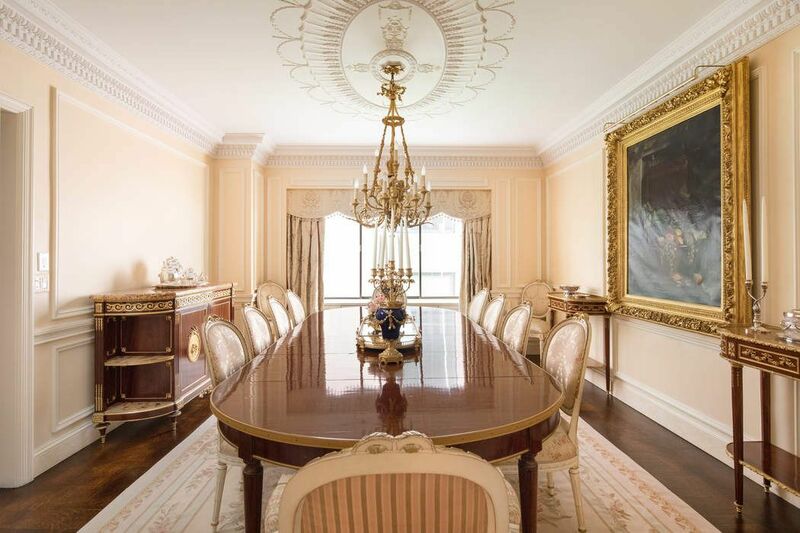 The formal dining room is a sophisticated setting for guests & connects to the stunning windowed kitchen via a butler’s pantry for seamless serving. 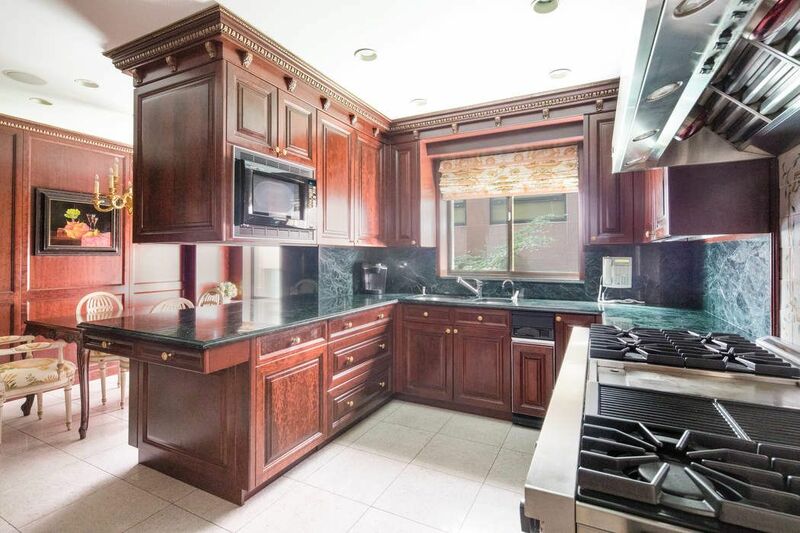 The stylish chef’s kitchen offers high-end appliances, rich wood walls & cabinetry, a sunny breakfast room & large pantry. Adjacent is a convenient staff wing with a full bath. 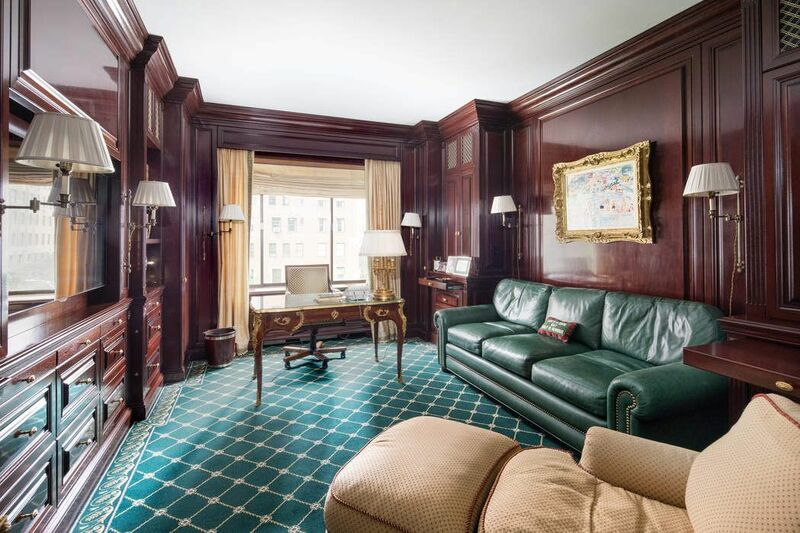 The incredible Park Avenue-overlooking master suite is the artful combination of the former master & 2nd bedrooms. 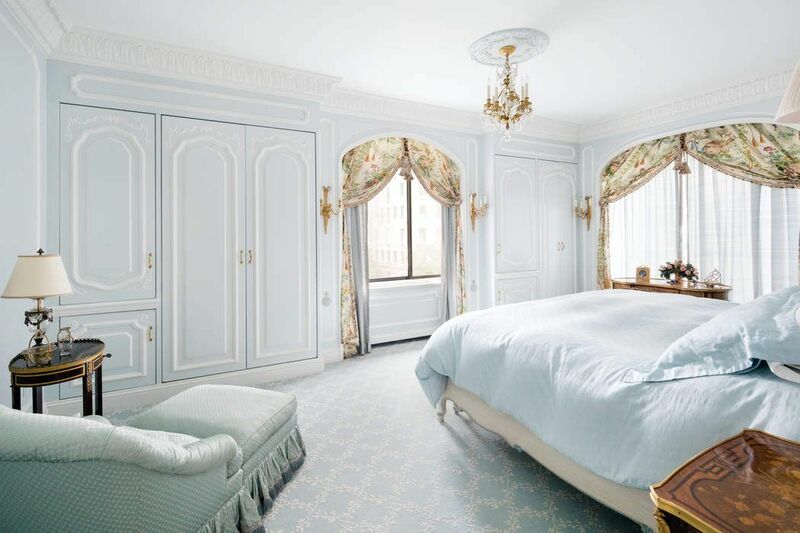 His & hers full baths, dual dressing rooms & enormous walk-in closets make this a rare retreat. Other exceptional highlights include a 2nd large BR suite, guest powder room, abundant closets throughout, and individually-controlled heating/cooling for your comfort. 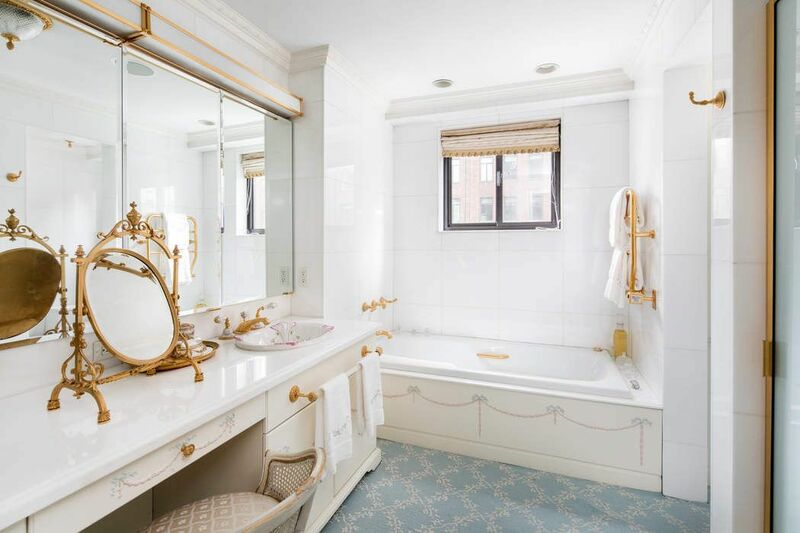 One of the finest full-service luxury cooperatives on the Upper East Side, 733 Park presents a doorman, concierge, gym, landscaped garden, wine cellar & private storage. Only 28 apartments occupy this handsome white-glove building designed by Kahn & Jacobson and Harry F. Green for Stephen Muss. 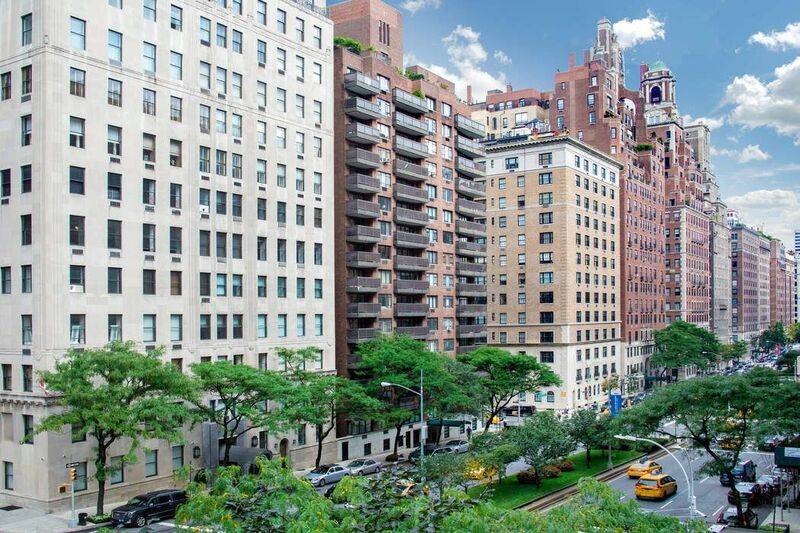 The prime location between prized East 70th & 71st Streets is minutes to Manhattan’s best attractions like Central Park, the Boathouse, Metropolitan Museum of Art, Frick Collection, art galleries, upscale shopping on Madison Avenue, The Plaza Hotel & many fine restaurants.